Debra Lew Harder performs live on April 11, 2019. Susan Lewis, host. Why are we drawn to a good tune? 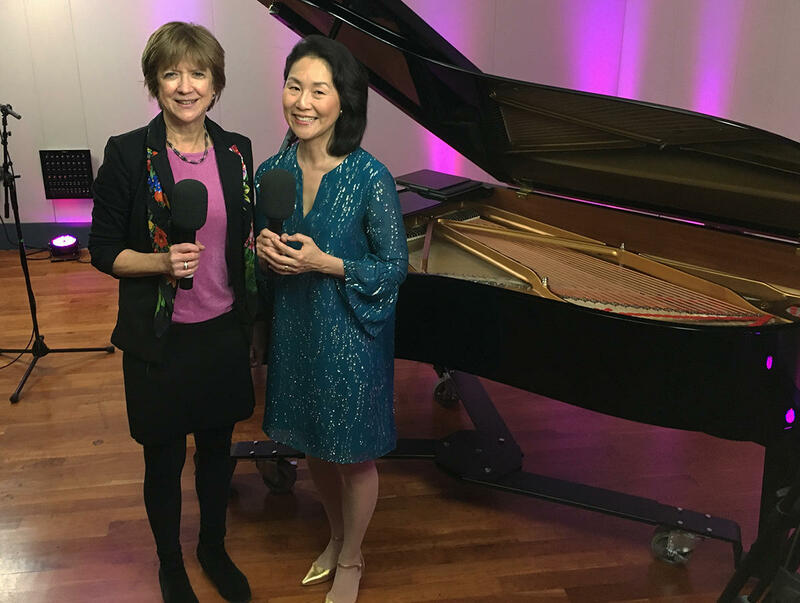 Find out as WRTI Classical Host Debra Lew Harder sits down at the piano in the WRTI Performance Studio and plays selections from her new concert and conversation program, The Human Need for Melody, and chats with WRTI’s Susan Lewis. In addition to being a host and producer on WRTI, Debra is a professional pianist with doctorates in both music and medicine, and loves to explore the intersection between music and science. She presents The Human Need for Melody on Sunday, April 14th at 3 PM at Music at Bunker Hill, in Sewell, NJ. Debra discusses why human beings are so drawn to melodies, and what the latest scientific research shows us about a melody’s power to communicate and heal. The full program includes music by Beethoven, Joplin, Suesse, and Chopin in addition to music performed in this broadcast. Why do we love a good melody? How does a good melody stick in our brains and make us feel things we can’t even put into words? And what does the latest scientific research show about how listening to music and melody improves our overall health? The Mysteries Behind the Beloved Irish Ballad "Danny Boy"
WRTI looks at the origins of this beautiful ballad, its mysteries, and why it is sung to convey deeply felt emotion and love during times of mourning.